Home News First Trax Snowshoe’s 26″ of Snow in the Last 24 Hours! Snowshoe’s 26″ of Snow in the Last 24 Hours! Greetings from Snowy Snowshoe Mountain, West Virginia! We are getting an unbelievable storm – 18 “ in the last day – with it still coming down and more forecasted through tomorrow morning. At this point we are discouraging travel to and from Snowshoe through tomorrow morning due to this storm. We would appreciate any help you can offer us in getting the word out about this. We do expect things to lighten starting Monday – which will create some great conditions for skiers and boarders next week. Attached is a photo, I’m also including a photo link of some other photos taken today. As well as a link to our 4 live web cams which might be useful for any forecasts today and tomorrow. You are welcome to use the cams and photos in any capacity you need please courtesy “Snowshoe Mountain” if at all possible. Previous articleWow! 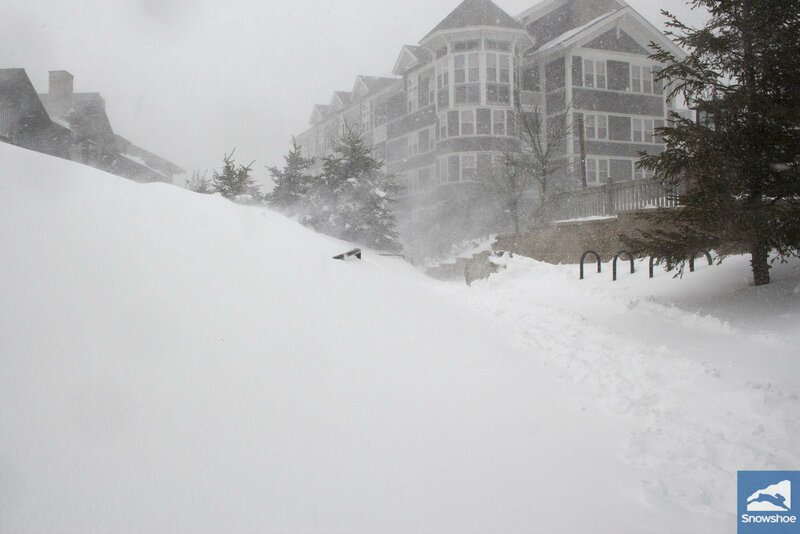 Snowshoe Mountain Got 26″ of Snow in the last 24 hours! Next articleMore Than TWO FEET of Snow Fell at Snowshoe and Winterplace!